The Riptide sub-ohm tank will satisfy your desire to blow bigger clouds without sacrificing flavor. 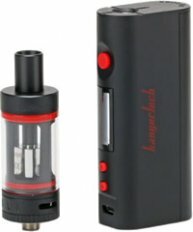 This tank has some of the best flavor and vapor production of all the sub-ohm tanks out there. It utilizes organic cotton wicking alongside bottom vertical coil (BVC) heads to maintain quality flavor and vapor production throughout the life of the coil. The interior organic cotton that surrounds the coil is covered by TURBO-FLOW technology which incorporates a nickel mesh that turbo-wicks the liquid to the coil to prevent dry hits and improve the liquid and flavor delivery. 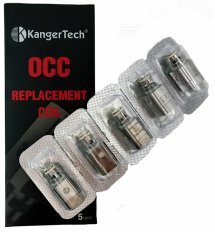 This tank can be used with either 0.3 Ω or 0.5 Ω coil heads, following suit with other popular tanks providing low-resistance builds. 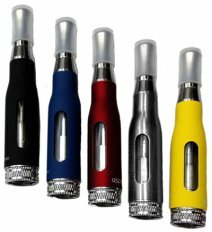 The Riptide has 510 threads which includes an adjustable 510 pin and 4ml capacity pyrex glass tank. The coils on the Riptide are interchangeable with Atlantis coils.